“So children who learn outdoors know more, understand more, feel better, behave better, work more cooperatively and are physically healthier”. Oh the joys of mud! Since the dawn of time children have been drawn to mud puddles and dirt as a part of their play. Mixing soil, water, and other natural materials like pebbles, leaves, or grass provides children with endless possibilities for learning and fun. Many of us have fond memories of creating mud pies, digging for worms, or making streams and valleys in the mud. But it is not just about fun, children can learn from playing in mud too. · Have an ample supply of soil (loam free) and water - access to different kinds of soil and sand allows children to create different kinds of mud, providing different opportunities for play. · Pebbles, stones, and other natural materials allow children endless possibilities to use their imagination as they play. · Vertical surfaces as they provide the opportunity to hang pots or utensils. · Horizontal surfaces should be large enough to accommodate more than one child at a time. · Shelving for easy storage of equipment like, pans, bowls, and utensils and also makes the area feel more kitchen-like. · Stock with old pots, baking pans, bowls, utensils some food scales for children to use. Include shakers for children to fill with dried flowers or leaves to use as “spices”. · Fill other containers with pebbles, twigs, pine needles, or other natural materials to be added to children’s creations. · Add chef hats and aprons to enhance the play! Embrace the mess – it’s okay for children to get dirty. In fact, when you look at the benefits children gain from mud play, it’s not just okay, it’s important, and the joy on the children’s faces will reinforce your efforts and make the mess worthwhile. Mud is also an excellent medium for learning. The same release of serotonin that occurs when playing in Mycobacterium Vaccae dirt has also been shown to improve cognitive function. The rich, engaging sensory play children partake in while playing with mud allows them to express their creativity while enhancing their fine motor skills. Children practice social skills such as cooperation, negotiation, communication, and sharing as they work together. Increased development in cognitive skills such as, maths and science are practiced as children make before and after comparisons, solve problems, test theories, and measure and count ingredients for their mud pies. This is the scientific process in action! Mud is a wonderful art medium, it is in ample supply, can be easily molded to create endless sculptures, and responds differently than clay or play dough. The open-ended nature of mud encourages creative thinking and allows children to freely create without fear of making mistakes. This also contributes to a child’s sense of self, helping to build a strong inner sense of competency. A useful approach for mud kitchens is to supply soil from purchased loam topsoil rather than from gardens or uncovered plant borders (all garden centres sell this; don’t try compost as it does not behave sufficiently like soil for satisfactory mud play). Sand in sandpits is also best covered with a light mesh out of hours. Of course mud play is messy and clean-up afterwards can be a large job. Just as children are expected to clean-up after playing with materials in the classroom, they can assist with clean-up in the mud kitchen. Routines and expectations must be communicated clearly to the children before, during, and after mud play. You can provide large pans of warm, soapy water and establish the routine of children washing the muddy pans and utensils as the first part of cleaning up the mud kitchen. Pots and utensils need to be kept in good condition and will need to be washed and dried reasonably often to avoid them rusting and becoming unpleasant to use. Keeping them drained and aerated is a very good idea, and occasionally wiping a light coat of cooking oil (with paper towels or cloths) prevents rust and mold. Storing resources in open-net sacks or wire baskets is also a solution. There is no such thing as bad weather, only inappropriate clothing! Children need to stay warm and comfortable – and mud kitchen work is likely to be wet and messy. Waterproof dungarees with wellies offer the best protection for most of the year in the UK – the best hot weather attire would be old shorts and T-shirt! Somewhere to wash muddy suits down and hang to dry should be part of any well-operating outdoor provision. First and foremost, children must be kept safe enough whilst they have access to the important experiences that they need for full and healthy development. Our job is to manage an opportunity to make it safely available – not to remove it in the name of ‘health and safety’. The requirement is to be ‘as safe as necessary’ rather than ‘as safe as possible’ (Royal Society for the Prevention of Accidents). The current official approach is one of risk-benefit assessment – better thought of as benefit-risk assessment: that is, consider why the experience matters and then manage to make it available. Much more can be found in the government endorsed document Managing Risk in Play Provision, available to download from the Play England website. We are glad to share with you our good news. 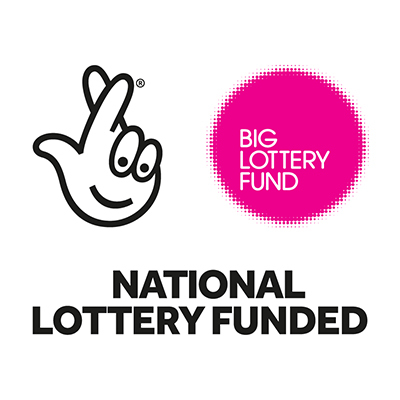 We are the happy recipients of a grant from Awards for All - Big Lottery. Over the next twelve months this will enable us too (with the help of some hardy dedicated volunteers) transform all areas of the Glue Garden. We are really looking forward to see the development of the garden this funding will enable us to do. A big thank you to Big Lottery! Stay tuned for updates on our progress over the year! Here at our first community market of the year (MAC)- best comment of the day so far "love your branding " what great feedback. Talking to people -explaining to people what the 'allotment in a box' is you see people get it, there is a realisation and agreement; moving people from that point to a person committing to installing a box is our challenge. I need to practice my ‘selling the sizzle, not the sausage’ advice I was given at one of the workshops I attended as an SSE student. Got the new flyers a few days ago, a big thanks to Jemima for persevering with all the changes and amendments and of course to @Unltd for their support and contribution. Will see what this season brings, we are much better prepared with plenty of reclaimed wood at our disposal (thanks to Vicky @ ShenleyLane and a very windy day). With a full stock of seeds and seedlings we are ready to gooooo!